Dr. Veltman, director of the Virtual McLuhan Institute in Maastricht, collected during years of research the basic alphabets and their cosmologies from the Shamans, China, India, Central Asia, The Middle East, Greece and Europe. Yes we have common roots and similar belief systems. I am sorry can not post the book PDF here, but you can buy different depth versions of it from the above link. It also gives a chart of the family tree of languages and how they spread evolved by migration. History links a tower in Babylon with the rise of 72 sacred alphabets in 72 countries. There is also a pre-history that includes Russia, China, India, Persia and Middle Asia. Initially, marks and signs symbolizing words and ideas led to secret, cryptic alphabets used for magic and control. Sanskrit introduced several models linking sounds in the mouth (phonology) with principles of creation (tattvas), movements of breath (yoga) and movements of the body (martial arts). 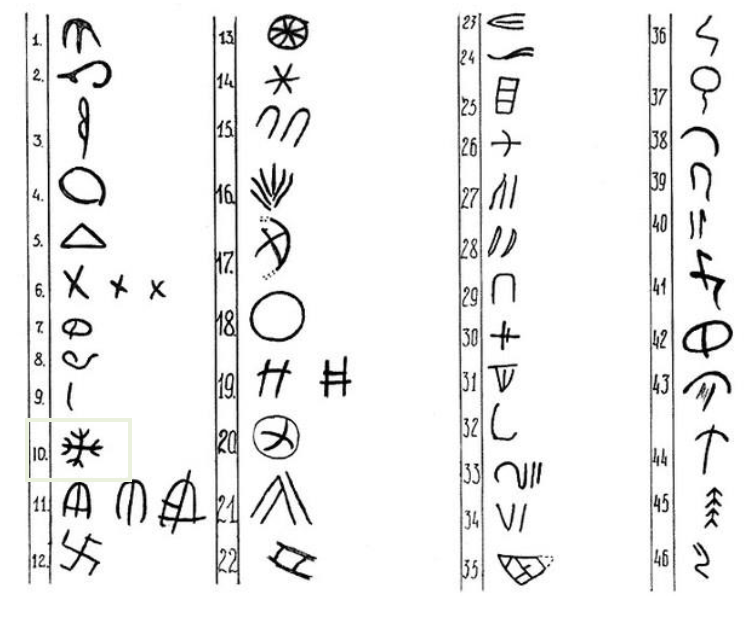 This led to matrices for runes and letters, which were then aligned with space (cosmology) and time (chronology). As it spread eastwards, Sanskrit served as a model for Burmese, Thai, Chinese, Japanese, Indonesian and Philippine alphabets. Its westward spead entailed three main paths. One was by sea (spice routes). This explains why early Indian alphabets have the same letters as the first Egyptian alphabets and the alphabets of King Solomon. Another was via silk roads and nomadic tribes such as the Scythians, Sarmatians and Alans. Here, the Caucasus and Pontic Steppe around the Black Sea played an important role in the rise of Slavic, Germanic and Runic alphabets. A third was via the settled empires of Persia and Babylon, which favoured a more compact form, linking 22 letters to the cosmos, namely, to 3 worlds, 7 planets, and 12 zodiac signs. This model came to Europe via the Holy Land, and the Mediterranean. 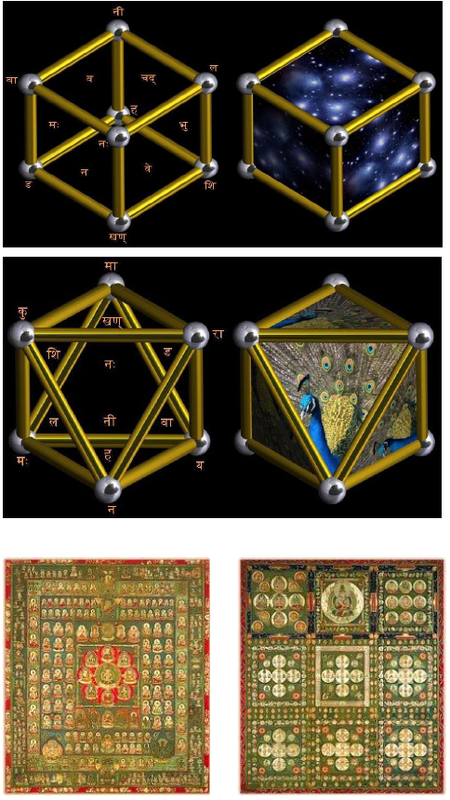 The cosmic dimension of alphabets is reflected in number symbolism (gematria, alchemy), geometrical patterns, games, our stories and systems of the skies, in signs and seals, weaving and decoration. Alphabets of Life shows how the marks and letters we use for communciation in everyday life, began with a quest to understand and communicate the miracle of life itself. General Reader’s Edition – 567 pp. Scholars Edition Text (Vol 1) – 990 pp. For more information and to order please see the Alphabets of Life Home Page. The Internet is in danger of becoming one current version – representing only one global village (cf. one country,political party, religion). We need a model that allows us to compare historically different countries, parties, religions: a myriad villages, globally connected, reflecting minorities, alternative views and individuals. To which I can add: …and strings of very diverse and unique city-area’s connected, like Corridoria. PS A speeded up 5 minute animation of migration by the Creative Class (intellectuals, designers and artists) in later centuries is shown in http://youtu.be/4gIhRkCcD4U Nice to see the channels of moving ants develop, ie. the American east-west railways. That community of moving creative class members also will happen along the Corridoria trail !! Maybe it is a good idea to ask Dr.Veltman to help the Google-assisted team construct an animation about earlier migrations based his findings in the Alphabets of Life book ?? This entry was posted in China, Corridoria, Uncategorized and tagged Alphabets. Bookmark the permalink.